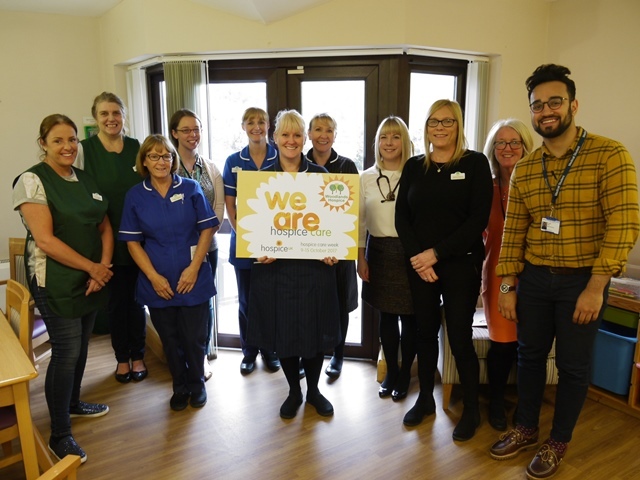 Woodlands Hospice has been supporting Hospice Care Week 2017 this year, by helping to raise awareness of the importance of Hospice Care and the valuable work we do for our patients and families. The initiative, organised by Hospice UK is a national campaign, and this year’s theme is to celebrate all those involved in providing and supporting Hospice Care, from the Doctors and Nurses on the wards, to volunteers who give their time freely, to fundraisers and supporters who help raise the vital funds needed to provide quality care. 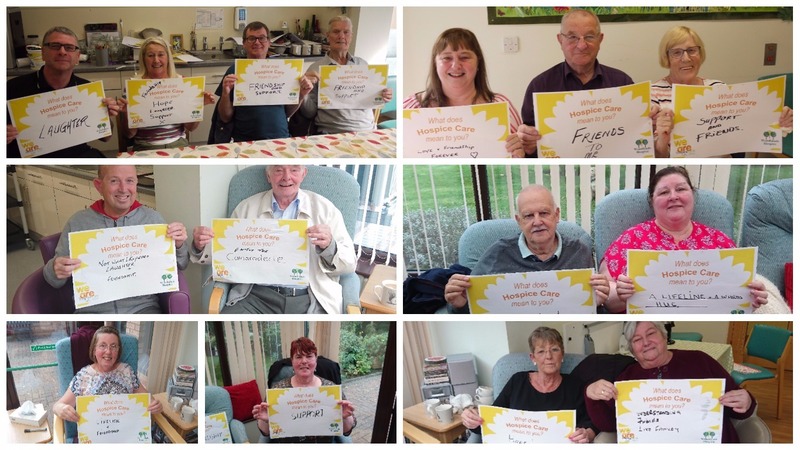 As part of this initiative, Woodlands encouraged Hospice staff and volunteers to ‘Go Yellow’ for Hospice Care Week on Wednesday 11th October to show their support. Our Patient Services Manager, Carole Slocombe and our Wellbeing and Support Centre Manager, Dawn Porter, helped to raise awareness of the campaign by hosting a stand in Aintree University Hospital, sticking with the ‘Go Yellow’ theme and offering a selection of yellow snacks and treats to those they spoke to, including Quavers and Lemon Cakes! 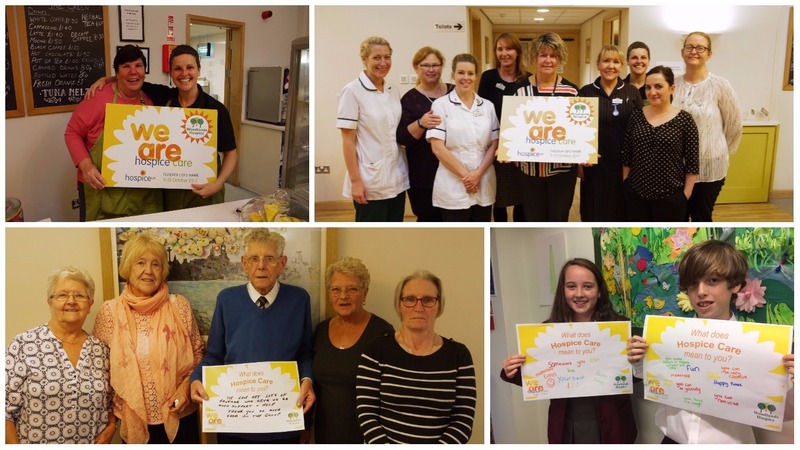 As part of the initiative, we also asked our patients and service users, to share what Hospice Care means to them. We received some wonderful feedback, which may be surprising to those who are not aware of what Hospice Care and Services can involve. We’d like to thank all those involved in providing and supporting Hospice Care, for making such a difference to our patients and their families lives.